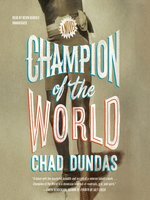 In this stunning historical fiction debut set in the world of wrestling in the early 1920s, a husband and wife are set adrift in a place where everyone has something to hide and not even the fights can be taken at face value.Late summer, 1921. Disgraced former lightweight champion Pepper Van Dean has spent the past two years on the carnival circuit performing the dangerous "hangman's drop" and taking on all comers in nightly challenge bouts. But when he and his cardsharp wife, Moira, are marooned in the wilds of Oregon, Pepper accepts an offer to return to the world of wrestling as a trainer for Garfield Taft, a down-and-out African American heavyweight contender in search of a comeback and a shot at the world title. At the training camp in rural Montana, Pepper and Moira soon realize that nothing is what it seems: not Taft, not the upcoming match, not even the training facility itself. With nowhere to go and no options left, Pepper and Moira must carefully navigate a world of gangsters, bootlegging, and fixed competitions, in the hope that they can carve out a viable future. 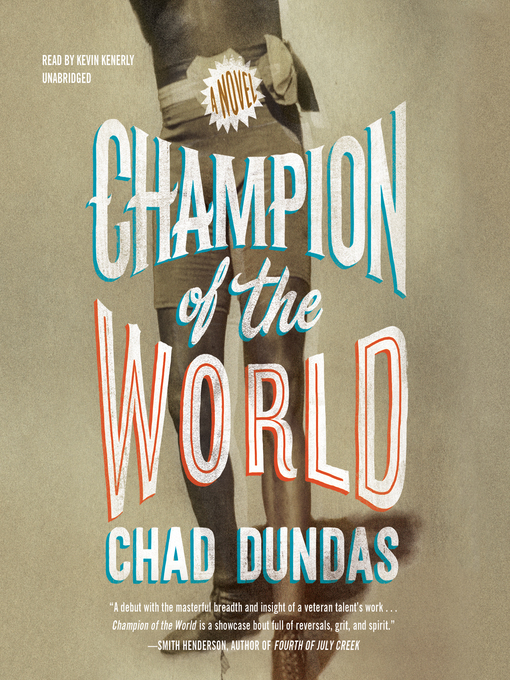 A story of second chances and a sport at the cusp of major change, Champion of the World is a wonderful historical debut from an outstanding new talent in fiction. Chad Dundas earned his MFA from the University of Montana, and his short fiction has appeared in the Beloit Fiction Journal, Sycamore Review, Sou'wester, and Thuglit. 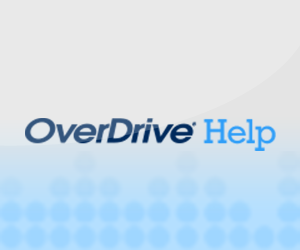 Since 2001 he has worked as a sportswriter for national outlets including ESPN, NBC Sports, Sporting News, Bleacher Report, and the Associated Press, as well as for local and regional newspapers. A fourth-generation Montanan, he lives with his family in Missoula.